MB - and enough baths plus outdoor shower for the rest. mid century and vintage furnishings and sweet Summer cottage style. The 4 bedrooms are spread out around the home to afford privacy. There's a great living room, with a window bench overlooking an expanse of lawn. This cottage is very privately sited, so peace and quiet are guaranteed. You will love the very modern amenities, stainless steel large Liebherr Fridge, and the flush cooktop. Well equipped with attention to detail and a whimsical touch that will delight and renew your senses. 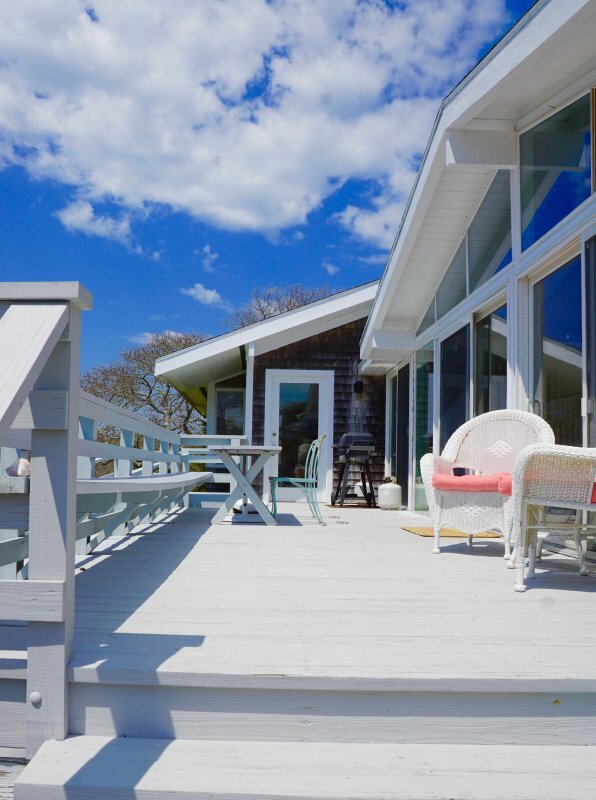 You will want to keep coming back to this great authentic Chilmark cottage.